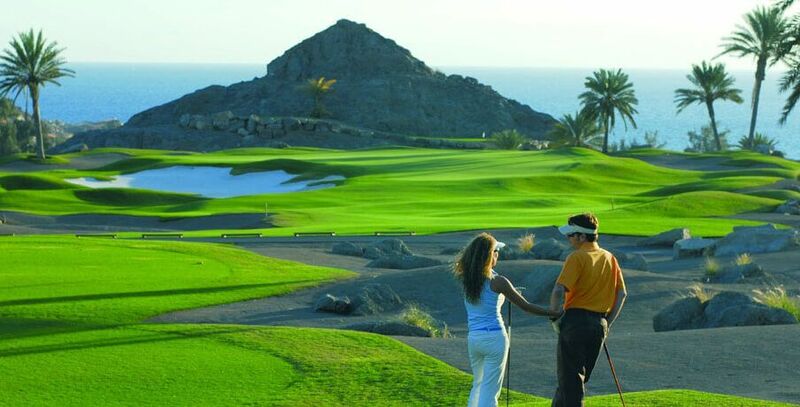 Experts rate the golf courses in Gran Canaria among the best in Spain. They are made up of seven magnificent courses spread around the Island. All designed by specialists, each offers an oasis of tranquillity where to enjoy the peace and serenity needed to improve your game or to simply partake in your favourite sport. The exceptional environmental contrasts, the magnificent beaches, the rich history, culture and cuisine all complemented with a range of fine accommodations, have transformed our Island, Gran Canaria, into a preferred destination for those in the hunt for something different. No need to travel far from home and here you will find all the advantages of being part of the European Union, with daily enticements to discover a world of sensations for all the senses. Golf in Gran Canaria suggests more than just a leisure sport; here it is a tradition that dates back to 1891, the year the Real Club de Golf de Las Palmas was founded- it was the pioneer in Spain.